With so many inbound marketing agencies and HubSpot consultants out there it can get confusing, making it hard to pick the right one to work with. 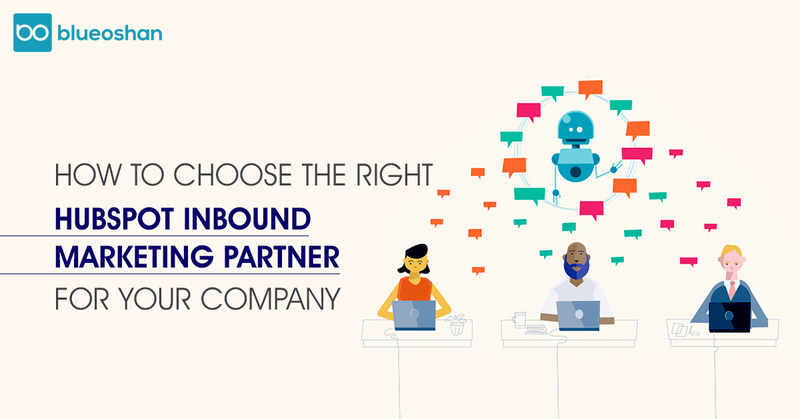 Here is a list of what to look for so that you choose the right HubSpot inbound marketing agency to partner your company with. First remember, that not all agencies are HubSpot certified. But deciding to work with one that is, makes your life a whole lot easier. An agency that has been certified by HubSpot has had to pass certain tests and courses and is proficient in using the software. So, go with a company that meets this criterion. It is also important to get to know the team you will be working with. Meet and talk with some of the members,after all you will be working with them closely for a long while (if all goes well). There should be a certain comfort level between you and the agency, and the lines of communication kept open. As a certified HubSpot partner, we are ready and waiting to help with any digital marketing requirement your business may have. Speaking of communication, the agency should not be afraid to ask you hard questions and say no to you, if it is in your business’s best interest. They should not only get to know you and your company, but also understand your goals and help you achieve them. In other words, they should be invested in your success. There are big agencies and small ones, some ranking higher in the HubSpot Partner Agency tiers than others. Don’t just pick based on ranking or years the agency has been around. Choose an agency that has worked successfully across industries even if it has been around only for a short time. They will have experience dealing with different issues and finding ways to work it out. In this way they will be able to provide better solutions for your business’s marketing requirements. Data is important for a business. And it holds true for an inbound marketing campaign as well. Make sure the agency you partner with places importance on collecting and analysing data. Because the insight gleaned from it will power campaigns and produce measurable outcomes for your business. Of course, price is important, and you need to pick an agency that fits into your budget. But don’t get swayed and choose a marketing agency that is quoting a low price when compared to other. Check on the agency’s references and take a look at their client testimonials. This way you will get a better sense of the way they work, and the successes they have had in using the platform. You might even decide to go with a slightly more expensive agency than you had planned on, to get a better ROI. The above points should help you pick a good marketing partner. And it is vital you do so, as a HubSpot Inbound Marketing agency will help your business in many ways-- from set-up and integrations in software, to brand and social media management, and so much more. Contact us to find out how we can help your business strategise and implement the inbound marketing methodology.